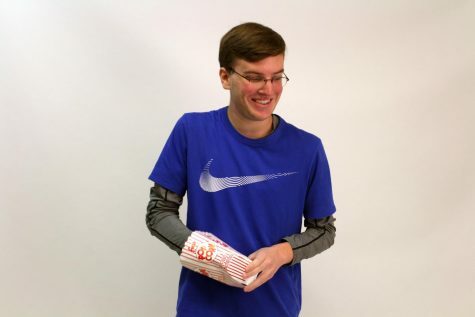 Senior Dominic Hoscher has been on the FHN publication staff for one full year. Hoscher joined when he was a junior and is now finishing his senior year with publications. Before he joined, he took Journalism 1 and Journalism 2 preparing him for the class. Hoscher is now in web hour and, so far, one of his favorite things he’s done is livestream. Livestream is recording live footage of events or games at school, announcing them and streaming it onto the website for people to watch who couldn't make it to the event. Hoscher plans to look for more ways to make more cool content for sports in the coming year.